Your arteries carry oxygen-rich blood from your heart to every part of your body. Veins carry the blood back to your heart. Many conditions can affect these blood vessels and cause problems. Vascular surgeons treat vein and artery conditions. They diagnose them and help patients manage them. Treatments include diet, exercise, medicine, and procedures or surgery. But some procedures are overused. 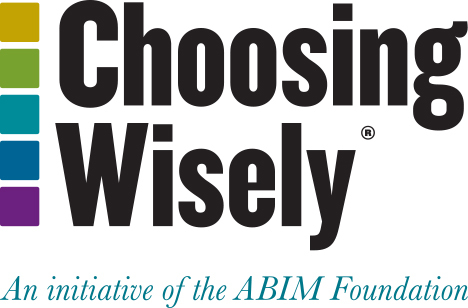 As part of the Choosing Wisely series, the Society for Vascular Surgery has listed four procedures and when to avoid them. If your doctor orders one of them, you should ask why. A blood clot filter is a small metal device that the doctor puts in the large vein going to the lungs. The filter traps leg clots before they reach the lungs. Blood clot filters can stop a clot from getting to the lungs, but they don’t prevent clots from forming. You may need a filter if you have deep vein thrombosis (DVT) and you can’t take blood thinners. DVT is a blood clot in a deep vein, usually in the leg. It can be dangerous because it can travel to the lungs and block blood flow. This is called a pulmonary embolism (PE), and it can be fatal. Blood thinners are medicines that stop clots from getting bigger and stop new clots from forming. Who does not need a filter? Some doctors put filters in people who don’t have leg clots but are at high risk for getting them. Usually these are hospital patients who are having surgery, have major injuries, or are very sick. But filters won’t prevent clots—only blood thinners do that. Filters can cause the vein to clot. This can block the vein and cause massive swelling of the legs. The filter can move. You may need a procedure to fix or replace it. The filter or a piece of it can break loose and go to the heart or lungs. This can cause injury or death. Filters also increase the risk of developing DVT. When to consider a filter. You can’t take blood-thinning drugs because you’re bleeding heavily or you have a high risk of bleeding. You tried blood thinners but you had complications from them. You tried blood thinners but they didn’t help. Some filters are left in place permanently. Other types can be removed. If you have a removable filter, your doctor should take it out as soon as you can start blood thinners or as soon as the risk of PE has passed. Procedures to treat PAD have risks, and most people don’t need them. Your doctor will consider many factors before selecting a treatment plan that is right for you. What is PAD (peripheral artery disease)? PAD is when you have clogged arteries in the legs and feet. It usually doesn’t cause symptoms, except some leg pain or cramping while walking. The symptoms usually go away when you stop walking, though a few people will have more severe symptoms. Most people with PAD don’t need procedures. They can be helped by a lifestyle changes, exercise, medicine, and regular doctor visits. This approach reduces symptoms, improves walking, and prevents PAD from getting worse. Procedures have risks: Angioplasty uses a tiny balloon or a stent to open an artery. Atherectomy removes plaque from an artery. Both treatments can improve blood flow but can also stop working in a year or two. Surgery to bypass the blockage lasts longer, but is a major procedure and eventually it too can stop working. And it can lead to infection, bleeding, and complications from anesthesia in some people. If they fail, these procedures can make symptoms worse. They may even cause you to need an emergency procedure. Prevent DVT if you are hospitalized. Taking blood thinners before and after surgery, or if you have to stay in bed. Using a sleeve-like device on your legs during surgery or illness. It compresses your legs to keep blood flowing through your veins. Wearing elastic compression stockings, to prevent blood from pooling in your veins. Walking or doing other leg exercises as soon as possible after surgery, illness, or injury. Your symptoms are so severe that they limit your daily activities. Exercise and medicine haven’t helped. You have continuous pain or wounds on the leg or foot that are not healing. Foot pain at rest, especially at night. Sores on toes or feet that don’t heal. A toe that looks blue or black and may be painful. Sudden pain in a leg, with a change in skin color (pale or whitish) or temperature (cold to the touch). Most people should try the steps below for six months before considering a procedure. Do an exercise program that mixes walking and resting. Ask your doctor or health plan for advice. Eat lots of fruits, vegetables, low-fat dairy and whole grains. Avoid trans fats and limit saturated fats. High blood pressure, high cholesterol, or diabetes. Easing leg pain and helping you walk farther. Check your legs and feet for skin changes or sores, and avoid injury. Be extra careful if you have diabetes. Ultrasound tests do not help. The test checks a large leg vein called the saphenous vein. But this vein has nothing to do with spider veins. They look like a cluster of red or blue lines just under the skin. They’re usually on the legs, but can be on the face or other places. They don’t cause symptoms, so treatment is cosmetic. Spider veins are different from varicose veins, which sometimes need medical treatment. The risks of ultrasound tests: You may end up having an unnecessary procedure to destroy the vein. That won’t improve your spider veins or prevent new ones. And this vein can be used in surgery to bypass blocked heart or leg arteries. You should keep it unless it’s causing serious symptoms. When to consider ultrasound: You may need an ultrasound if you have varicose veins with pain, bleeding, thickened red or brown skin, scaly skin, or open sores. The main cosmetic treatment is sclerotherapy. The doctor injects a solution into the veins, which collapse and disappear over time. If veins are too small to inject, laser treatment works well. Try cover-up makeup or waterproof leg foundation. Some doctors routinely use ultrasound scans or an invasive imaging test called a fistulogram to look for access problems. That’s not helpful if you don’t have warning signs. with failing kidneys. A surgeon makes an entrance or access in the arm to remove and return blood during dialysis. person should examine the access and check for these signs. An access may be narrow but still work well. It’s better left untreated, but many doctors will do an angioplasty anyway. Complications can cause further damage, such as infection, bleeding, injury, and clotting. You may need an ultrasound if the access isn’t working properly, based on the staff person’s exam and problems during dialysis. If the test shows narrowing or blockage, a fistulogram can be done. An angioplasty can be done at the same time. Keep the site clean, and wash your hands with soap and warm water before and after touching it. Call your care team if you have a fever or your access is warm, sore, swollen, red, or has pus. Check the vibration in your access every day. If it changes or you don’t feel it, call your care team. Don’t carry heavy items with it. Don’t wear tight clothing or jewelry. Don’t let anyone draw blood, measure blood pressure, or start an IV from it. If you have any questions about your artery or vein problem, talk to your doctor. You can also visit www.vsweb.org/VascularFacts for more information. ©2016 Consumer Reports. Developed in cooperation with the Society for Vascular Surgery.